I first came across BODA at the WPPI Convention in March. I didn't pay much attention to this bag at first. In fact, I walked by it a couple of times without even stopping, just casually glancing. Anyway, today is the last day of the Photoshop World Trade Show in Orlando Florida. I walked by the Boda booth several times for the past 3 days. Once again I was not intrigued enough to stop until today. They had a tiny little booth with just 2 salespeople, one table, and a couple of samples for people to look at. You have to understand that every other company has elaborate setups for their booths. Boda features 2 bags, the Boda Dry Bag and the Boda Dry Jr. bag. Why do they call it Dry Bag? Beats me. :-) No actually, it's suppose to be weather proof because the zippers and the tough ballistic nylon is to keep your equipment from getting wet during inclement weather or being splash by a big wave while at a beach shoot. This nifty little bag carries a whole bunch of stuff with its tiny little foot print. Its design is to carry all your accessories and several of your essential lenses. It has a compartment for batteries, one flash, one long lens (70-200mm), a divided compartment to hold 2 shorter lenese ( 16-35mm and 50mm 1.2), business cards, 8 CF/SD card compartments, pens, cell phones, a lens cloth, etc. The Jr. bag is essentially the same except smaller. It can hold one long zoom lens or 2 shorter lenses. It's not intended to replace your camera bag. It's used when you just need to be on the run and need quick access to your accessories. That means you still have to carry your camera on your shoulder. The Boda Dry bag can be worn with a shoulder strap or a waist belt. The belt comes in 3 sizes. Make sure you purchase the right length otherwise it would be hard to run around with 15 lbs strap around your ankle. :-) I think it's a great design because I don't want to carry my entire rollaway bag to a wedding anymore. Althought the cost of the Boda Dry bag is about the same as medium size roll away bag. Incidentally, BODA is "wedding" or "marriage" in Spanish. I've been looking for something like the Boda for quite some time. And in fact, not long ago, I wrote a review for the Think Tank bag back in November 17, 2007. I was and still am very satisfied with this bag system. It fits snugly against my waist and I'm able to carry my essential lenses and memory card storage system. In fact, I can run with the system around my waist. I'm gonna give this baby a try and will do a follow up review later in a month or so. In any case, I couldn't pass up a really a good deal because the show special is $175 which includes a waist belt, a lens divider, and most of all... no sales tax and shipping. So, if you attended WPPI or Photoshop World, be sure to mention the show special when ordering online or over the phone. 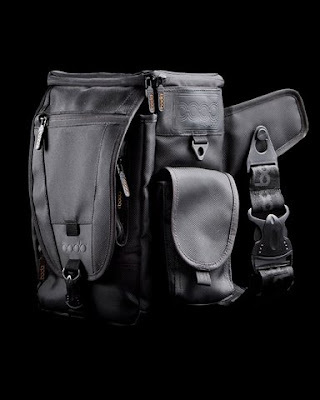 I'm thinking to buy this bag too, I want to put a camera body with grip attached in the bag. Do you think this fits in the front pocket? The bag is not big enough fit a camera body. It's designed to accompany your camera on you shoulder. I still like the bag and I've been using it for whole year now.